The Olympic slopes and breathtaking scenery of Park City, Utah can be your home-away-from-home every year. Browse timeshare resales and rentals at Marriott's MountainSide resort with SellMyTimeshareNow.com today. Nestled in the mountains of Utah's jaw-dropping Wasatch Front, Marriott's MountainSide provides the perfect respite for skiers, snowboarders, hikers, and anyone looking to explore the beauty of the Beehive State. Inducted into the TripAdvisor Hall of Fame in 2016, the resort's distinct lodge-like design and unbeatable access to area slopes will make you feel as if you've arrived at your very own ski chalet. 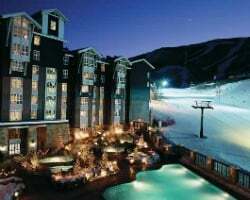 With ski-in, ski-out access and a convenient location to all of Park City's best attractions, the timeshare accommodations at the Marriott MountainSide are a no-brainer. With units ranging from efficient guest rooms to spacious two-bedroom villas, the rooms at the MountainSide are perfect for couples and families alike. 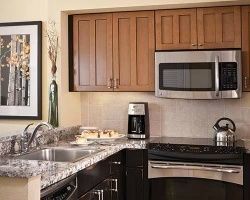 Modern furnishings and upscale amenities like gas fireplaces and full kitchens are common in most units, allowing you and your group to make yourselves at home. Ski equipment rentals will ensure you have everything you need on-site to enjoy your stay in the winter, while summertime guests will find the sprawling outdoor pool area provides an opportunity to pause and soak up the sun in the mountains. Are you ready to find amazing accommodations in Park City? Look no further than the timeshare resale and rental postings at the Marriott MountainSide resort. Fill out the form on this page for more information, or call 1-877-815-4227 today. Being a timeshare owner at the Marriott MountainSide resort is rewarding enough, but if you purchase your timeshare through the resale market, you could have even more in store. Timeshare resale advertisements are posted for-sale-by-owner, which means they're priced more realistically than units offered from the resort. You could find the same great timeshare accommodations at the MountainSide for up to 70% less than retail value. What's more, you can still plan future vacations on your terms. MountainSide timeshare resales come in the form of deeded and floating Marriott timeshare weeks, offering you flexibility in finding the perfect timeshare. Intervals of ownership fall within Marriott's Silver, Gold, Platinum, and Platinum Plus seasons, which also gives you a wide variety of options and price points to consider when purchasing a resale. Even better, your timeshare resale at the MountainSide could give you easier access to the Marriott Vacation Club. Marriott Vacation Club imposes very few restrictions against timeshare resale buyers, which is good news for those seeking a bargain. You can start making reservations at the MountainSide as soon as the transfer of ownership is complete, or you may choose to take advantage of the Marriott Vacation Club Destinations program. If you decided to upgrade, you could start to use points instead of Marriott legacy weeks to reserve accommodations at the MountainSide. Additionally, you'll be able to secure stays at other Marriott resorts around the world. Marriott's MountainSide is affiliated with Interval International, one of the world's leading timeshare exchange companies. If you seek to get the most out of your timeshare resale, you could obtain a separate membership with Interval and deposit your MountainSide accommodations into their database. In exchange, you can trade your Park City timeshare with other owners looking to trade as well, opening up a world full of possibilities. The MountainSide resort currently maintains an Elite Resort rating from Interval, meaning its exemplary amenities and services will earn you more trading power when you want to exchange. This Park City Marriott resort employs a great deal of on-site services and amenities to give you the best vacation to Utah every single year. For skiers, the best feature is undoubtedly the ski-in, ski-out feature at the resort. Simply walk out your door with your gear, and in minutes, you'll be at the top of some of Park City's best slopes. The fitness center at the resort will have everything you need to stay in shape while on vacation, and the outdoor swimming pool and whirlpool spa stay open year-round. Offsite, you'll find a whole world to explore around the resort's immediate area. Summertime visitors will not want to pass up the hiking and biking trails that line the nearby peaks—you can catch incredible views of Salt Lake while exploring the area. The Park City Golf Club is just two miles away for those who want to hit the links, while downtown Park City offers boutique shops, five star restaurants, and other attractions like the Children's Museum of Utah. Visitors in January will be delighted to witness the popular Sundance Film Festival, which draws in celebrities and filmmakers every year. Already Own at Marriott’s MountainSide?